Wayfair and Constant Contact are among the growing number of companies pulling advertising from Fox News' 'The O'Reilly Factor' after reports emerged of multiple sexual harassment allegations against the TV show's host, Bill O'Reilly. Kate Margolis, a spokeswoman for Wayfair, confirmed to BostInno on Tuesday that the company moved its ads to other shows on Fox News in light of the reports. The news began with a New York Times story on Saturday that five women have been paid a total of about $13 million to settle claims of sexual harassment or other inappropriate behavior against O'Reilly. Other companies that have pulled ads include BMW, Allstate, T. Rowe Price and Mercedez-Benz. "We condemn all forms of harassment and are closely assessing the situation," Margolis said. "Currently, we do not have any future ad buys planned for the show." O'Reilly, who authored a book called "The No Spin Zone," has said that the accusations are without merit and that he's "vulnerable to lawsuits" from people "who want me to pay them to avoid negative publicity." A Fox News spokesman told Business Insider on Tuesday that the cable network values its partners and is "working with them to address their current concerns about the 'O'Reilly Factor.'" Constant Contact, a Boston-area company that was acquired by Endurance International Group in 2015, also pulled ads from 'The O'Reilly Factor' as a result of the allegations, the New York Times reported this afternoon. "Based on the recent allegations and our strong commitment to inclusion, respect and tolerance in the workplace, we have decided to pull Constant Contact’s ads from 'The O’Reilly Factor,'" Lark-Marie Antón, chief communication officer for Endurance, told the newspaper. 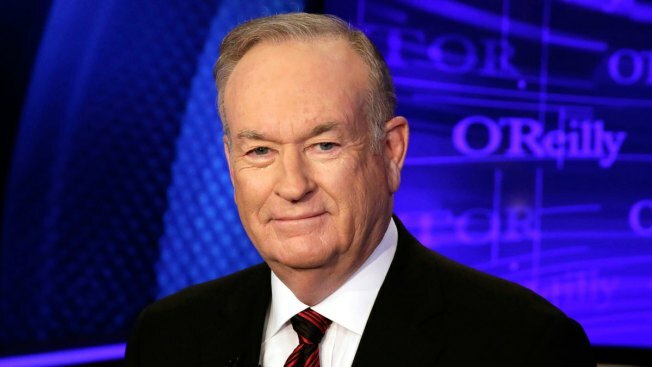 O'Reilly got his start in journalism in Boston, where he attended Boston University for a master's degree in broadcast journalism, held internships at the Boston Phoenix and WBZ-TV and worked for the station now known as WHDH-TV. He also received a master's degree in public administration from Harvard University's John F. Kennedy School of Government.